Terrorism has been leading the national agenda for several weeks now, following attacks in both London Bridge and Manchester. Prime Minister Theresa May had pledged to rip up some human rights laws in an effort to combat terrorism, but Government sources later reported she had backtracked on the plans. 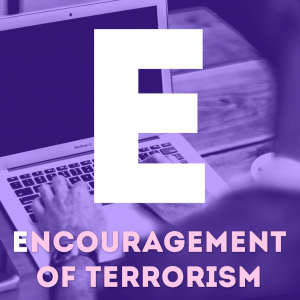 With terrorism at the forefront of our political conversations, it can be tricky to get your head around all the terminology and jargon. To help you make sense of the policies and discussions, here’s our rundown of the key terms, players, and rulings that help shaped terrorism legislation in the UK. The Treasury has the power to freeze the financial assets of any individual or group it believes is involved in terrorism. 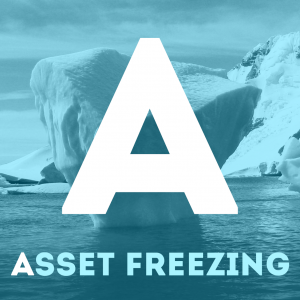 Asset freezing can be used even if an individual has not been charged with a criminal offence. The powers can be used against both UK and foreign nationals. A case from 2004, formally known as A v Secretary of State for the Home Department. The case was brought by nine Belmarsh prisoners detained under the Anti-terrorism, Crime and Security Act 2001. Section 23 allowed non-British nationals to be held indefinitely without trial or deportation. The House of Lords held that this violated Article 5 of the Human Rights Convention, the right to liberty. The court’s decision meant that foreign terror suspects could only be detained without charge for the same length as their domestic counterparts. The act establishes the roles and responsibilities of the local and national government and public services in the event of an emergency. It sets out the manner in which the government will work with public services to prepare for, prevent and respond to emergency situations. Section 1 of The Terrorism Act 2006 makes it a crime to make a statement that encourages members of the public to commit terrorism. Section 1 is most commonly used to prohibit people from glorifying terrorist violence. The transfer of suspects for interrogation or detention to another country, where they are at risk of being tortured. This has especially been used by the US to detain and interrogate terror suspects, for example at Guantánamo Bay. The UK has allowed its airspace to be used for rendition flights and has handed individuals over to US authorities for forced rendition. This is against the UN Convention Against Torture, which the UK has signed. The UK government’s strategy to reduce the risk of terrorism for the UK. It has four work streams: Pursue people planning terrorist attacks; Prevent people from becoming terrorists; Protect against a terrorist attack, for example through border security; and Prepare for a terrorist attack, to limit the impact. Critics allege that Prevent and Pursue contain potential threats to human rights. Acts of terror carried out by people against their own country, usually without foreign interference. Much of the current discussion around terrorism is its international nature. But many of the recent attacks in European countries have been by so-called ‘homegrown’ terrorists. The watchdog for counter-terror laws. Appointed by the Home Secretary and the Treasury, the independent reviewer assesses counter-terror legislation to make sure it balances people’s freedom to live without state interference with the protection of national security. The reviewer is independent of government. The post is currently held by Max Hill. The study of law. This term is generally used to explain the collection of legislation put in place by governments and rulings made by courts which make up the law governing a particular topic, including terrorism. Labour governments have introduced five major pieces of terrorism legislation. The 2000 Terrorism Act gave a broad definition of terrorism for the first time and enabled the police to detain terrorist suspects for up to 7 days. This period was then increased by the 2006 Act. Prime Minister Tony Blair originally pushed for a 90-day detention period but, after a rebellion by Labour MPs and strong opposition by Parliament, was forced to back down to a 28-days limit. The Prevention of Terrorism Act 2005 introduced “control orders” to impose a range of curbs on the liberty of terrorist suspects. In 2011 these orders were replaced by the Terrorism Prevention and Investigation Measures (TPIMs) to “increase safeguards for civil liberties.” A strengthening of these measures was then carried on under the Counter-Terrorism and Security Act 2015, which created TPIMs Mark II. Between 1968 and 1988, in a period known as “the Troubles,” conflict over Northern Ireland’s constitutional status lead to violence across the UK. Thousands of individuals were arrested, interned and interrogated, some with the use of “enhanced interrogation techniques,” by British security forces. In Ireland v UK, the Irish Government brought claims against the UK government, arguing that the “five interrogation techniques” amounted to torture. 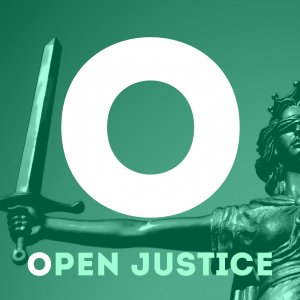 Open justice is a legal principle that puts openness and transparency at the heart of British law. In the 2014, the Crown Prosecution requested a secret trial in the case of AB and CD, two men charged with terrorism offences. The Appeal court overturned the request. Nevertheless, critics voiced concern that open justice has been jeopardised by the war on terror. Prevent is one part of the UK’s counter-terrorism strategy. Prevent is meant to challenge the ideas behind extremism and protect vulnerable people from radicalisation. The policy has become controversial as it requires certain members of the community (teachers, faith leaders etc) to report to the authorities anyone who they believe may hold, or be exposed to, extremist views. In this case, the UK wanted to deport Abu Qatada, also known as Othman, to his home country of Jordan to stand trial for terrorism charges. However, the Human Rights Court decided it was likely that the court in Jordan would use evidence obtained through torture. This would lead to a “flagrant denial of justice.” The UK still deported Abu Qatada, with Jordan’s agreement that no evidence obtained by torture would be used in his trial. Radicalisation refers to the process of grooming an individual to adopt extreme political and social views. The “Prevent” strategy (see “P” above) is one of the tools intended to prevent radicalisation of young and vulnerable people. In addition, the government has pledged to take action to prevent online radicalisation, arguing the internet provides a “safe space” for extremists. Schedule 7 gives enforcement officers wide reaching powers to stop, search and detain individuals at international railway stations, ports and airports. No suspicion of terrorism is needed in order for the powers to be exercised. In 2013, the authorities used it to justify stopping and searching David Miranda (the husband of the journalist Glenn Greenwald) at an airport and confiscate his encrypted data. As a result, Mr Miranda sued the Home Office. The Court decided that although Mr Miranda had been legally detained, on a broader level, the Schedule 7 powers were not compatible with the right to freedom of expression. Although the law has not been changed, the government implemented a code of practice in 2015 which prevents enforcement officers from examining journalistic materials. Since 2006, the British government has used different threat levels to signal the likelihood of a terrorist attack. Threat levels are decided by the Joint Terrorism Analysis Centre and Security Service (MI5). There are five levels: low, moderate, substantial, severe, and critical. “Low” means that an attack is extremely unlikely, while “critical” indicates that one is immanent. Case brought to the Human Rights Court challenging sections 44 and 45 of the Terrorism Act 2000. These sections gave authorities the power to stop and search without reasonable suspicion. The court held this was violation of Article 8 of the Human Rights Convention, the right to respect for privacy. Violent organisations or individuals whose social, economic, and political power is independent from the state. VNSAs act at a national or international level without allegiance to a particular country. They include terrorist organisations as well as warlords, militias, and criminal gangs. Term referring to the military campaign against regimes and organisations associated with terrorism. Although used as early as 1984 by the Reagan administration, the “War on Terror” is associated with post-9/11 counter-terrorism. It usually means Western powers targeting Islamist terrorist organisations such as al-Qaeda and the so-called Islamic State in Levant. In most cases UK police can only hold a suspect for 24 hours before having to charge or release them. If someone is suspected of a serious crime, such as murder, that can be extended up to 36 or 96 hours. With extended pre-charge detention, individuals suspected of terrorism can be kept in jail and questioned for up to 14 days without being charged. 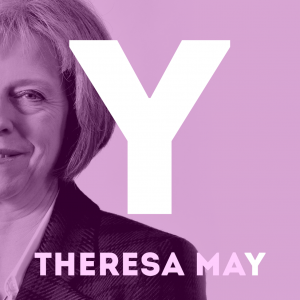 Theresa May has claimed there is “far too much tolerance of extremism” in the UK. The prime minister has promised to “rip up” human rights laws if necessary to prevent terrorism, but was allegedly forced to backtrack. Rhetorical device signalling a hard-line approach to counter-terrorism. What this means in practice varies from country to country. The British Government has suggested it will pursue longer jail sentence for terrorist offences and regulate the internet. Find out the human rights implications of internment as a response to terrorism. Preetika holds a law degree from the University of Oxford and an LLM from The LSE. She has previously worked at UN Women, the International Criminal Tribunal for the Former Yugoslavia and in the Office of the UN Secretary General. Preetika has also represented numerous individuals in Social Security Tribunal Hearings and is training to be a barrister. View all posts by Preetika Mathur. Libby is a solicitor who specialised in commercial litigation for more than ten years. 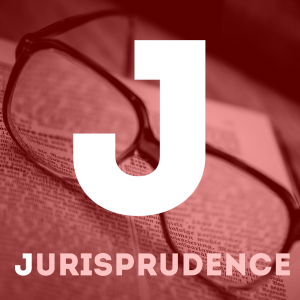 On leaving private practice, she obtained an LLM in Human Rights and now combines motherhood with pro-bono work for legal advice centres and voluntary work for human rights organisations View all posts by Libby Attwood.